The effectiveness of FELIWAY® has been proven in numerous clinical studies, performed in the United States, Canada, and other countries. These studies have been published in scientific journals or presented at international conferences. Why do I recommend FELIWAY® CLASSIC? FELIWAY® CLASSIC pheromones, or “happy messages”, are perceived almost immediately by the cat and results in a decrease in signs like peeing outside the litter box or scratching. These “happy messages” are safe to use in any cat and can be combined with all of the other solutions I recommend. A lot of my clients start to see results within the first 7 days with their cat. However, every cat is unique. Depending on how long the signs have been present and how severe the signs may be, it may take longer to see effects. I recommend using FELIWAY® CLASSIC for at least 30 consecutive days prior to evaluating any response. Millions of cat owners in the United States have noticed a difference in their cat after using FELIWAY® products. Their cats feel more comfortable and spend more time with the family. Owners see a decrease in peeing outside the letterbox within the first 7 days of use. 9 out of 10 cats reduce or stop peeing outside the litter box within 30 days. 8 out of 10 cats significant reduce or stop unwanted scratching within the first 7 days. 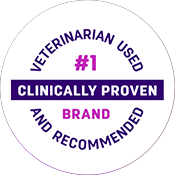 FELIWAY® is used and recommended by veterinarians in the United States and worldwide. Find out more about FELIWAY.